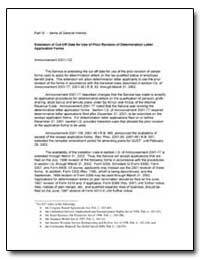 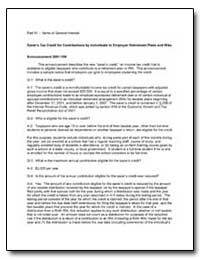 Excerpt: The Internal Revenue Service has finalized pro forma Tip Rate Determination Agreements (TRDA) and Tip Reporting Alternative Commitment (TRAC) agreements for use in its Tip Rate Determination/Education Program (TRD/EP). 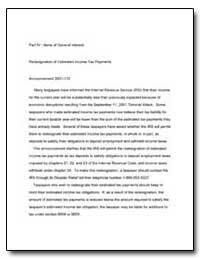 The TRD/EP is designed to enhance tax compliance among tipped employees through taxpayer education and voluntary advance agreements instead of traditional audit techniques. 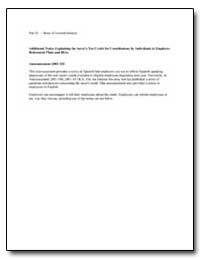 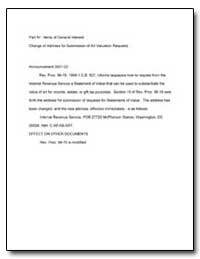 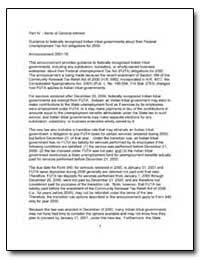 Excerpt: Disaster relief for issuers of tax-exempt bonds affected by the September 11, 2001, Terrorist Attack. 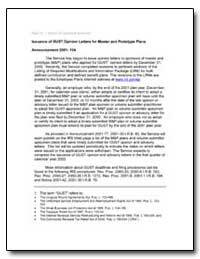 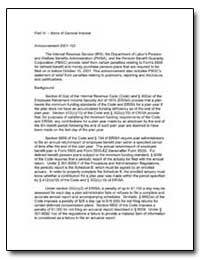 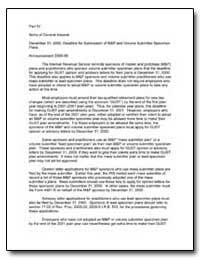 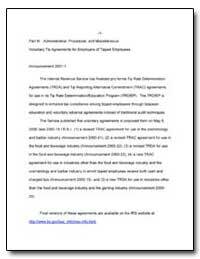 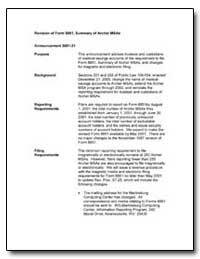 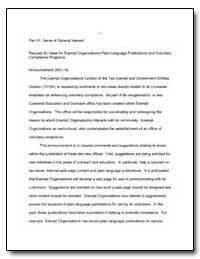 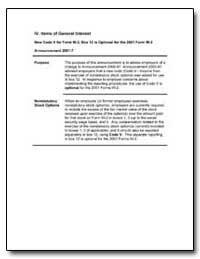 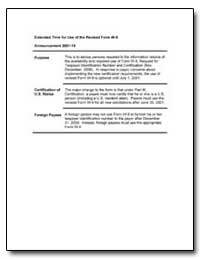 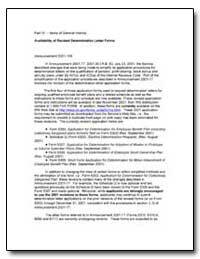 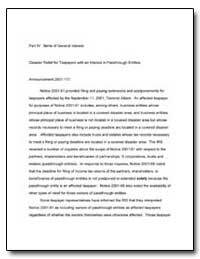 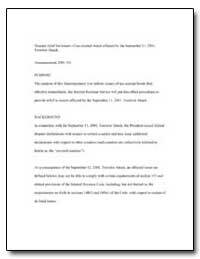 Excerpt: The Internal Revenue Service (IRS), the Department of Labor's Pension and Welfare Benefits Administration (PWBA), and the Pension Benefit Guaranty Corporation (PBGC) provide relief from certain penalties relating to Forms 5500 for defined benefit and money purchase pension plans that are required to be filed on or before October 15, 2001. 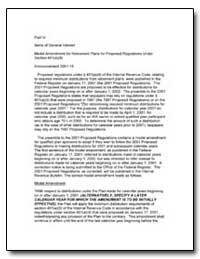 This announcement also includes PBGC?s statement of relief from penalties relating to premiums, reporting and disclosure, and certifications. 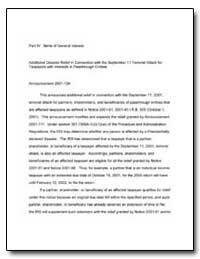 Excerpt: This announcement advises trustees and custodians of medical savings accounts of the requirement to file Form 8851, Summary of Archer MSAs, and changes for magnetic and electronic filing. 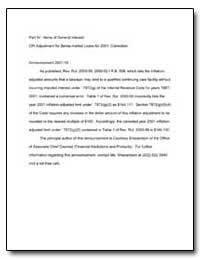 Background Sections 201 and 202 of Public Law 106-554, enacted December 21, 2000, change the name of medical savings accounts to Archer MSAs, extend the Archer MSA program through 2002, and reinstate the reporting requirement for trustees and custodians of Archer MSAs.